-- Pax Burnson is the descendant of devas. She has vowed to live her life without practicing her powers, but recent events have overturned her entire existence. Thorn Kalgren has been the love of her life since she was fourteen -- he helped her to heal after the loss of her parents. As a close family friend, he is one of a select few who understand and share her unique heritage. His recent betrayal has released a violence within her that she cannot restrain. -- Don’t mess with Mac McKnight, even if you are the president of a South American republic. Mac has secretly recorded President Charlie Dávilos frolicking at a brothel. He has managed to get the video recording onto national television. Dávilos will be the second president he has brought down. Mac gets angry. Really angry. Foolishly angry. His own son is a drug addict, so he does not like it when important people use their position as a way into the cocaine trade. What makes Mac tick? Guilt. Anger. Reckless courage. Love. Alcohol. He will assail the evil-doers even if it means tearing down his own world. 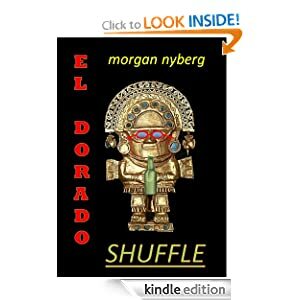 “El Dorado Shuffle” is a full-length novel propelled by hair-raising conflict, outrageous behavior and violence. Nevertheless, the entire narrative is coloured by a rich and self-mocking humor, making it a unique and unforgettable reading experience. Fans of Jonathan Franzen, David Foster Wallace and Michael Chabon will delight in Morgan Nyberg’s venture into the colour, spice, danger and black laughter of Latin America. -- Self-proclaimed nerd, BrookLyn Scott, is an eighteen-year-old high school senior in upstate New York who has never held a boy’s hand let alone one’s interest. She has some friends at school and church but is never far from the watchful eye of her abusive parents. 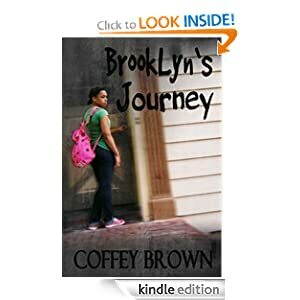 BrookLyn’s plan is to escape the abuse by excelling in high school and running safely to college just as her older siblings did. Her plan is derailed after she’s invited and attends her first party. By the end of the night, BrookLyn finds out that church friend, Gabriella Michaels wants more than a friendship, and although her head says no, her heart thinks of the possibility. 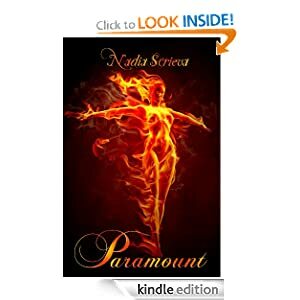 BrookLyn is focused on her escape plan while flying under the radar of her father’s swinging belt when she is thrust onto an emotional roller coaster. -- Crossword puzzle enthusiast Pete Durante is a war dog trainer stationed near the Los Angeles Harbor during World War II. After he cracks an enemy code that helps end the war and saves millions of lives, he gets driven to suicide by a vengeful intelligence officer named Rip Greamer. 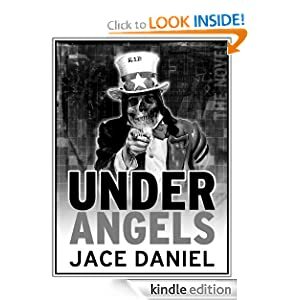 To save his family from an even darker fate, Pete must follow his dog beyond the grave and into a purgatorial maze of tunnels beneath Los Angeles to solve one final puzzle. -- McKenzie Wu doesn’t know her great-great grandmother married an alien or that her great-great-great uncle is alive and systematically eliminating a race of beings on a tiny planet light years away—she has enough to worry about. Molecules keep rearranging themselves to suit her slightest wish, but only at the most inconvenient times. If that weren't enough, she’s been dreaming about an accident; one she’s had no memory of until now and, if true, means McKenzie is responsible for her mother’s death. 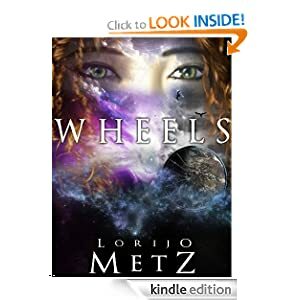 When McKenzie stumbles upon a portal, transporting her and her friend Hayes to the tiny planet of Circanthos, she learns the inhabitants believe she is the “One” destined to save them from H.G. Wells, a name that sounds strangely familiar, and his Tsendi warriors. But while her newfound ability might give her superhero status back on Earth, halfway across the galaxy it’s commonplace—all Circanthians can particle-weave—and if they can’t stop H.G. Wells, what can she hope to do? -- Postpartum depression (PPD) is a far more common and life-debilitating issue than most people realize. At a time when most women expect happiness, the crushing weight of depression and anxiety can descend. Postpartum depression not only affects the new mom but the entire family as well. Relationships are impacted, feelings of grief and despair surface, and the answers may seem far away. This book is written for the sufferer and for those around her. 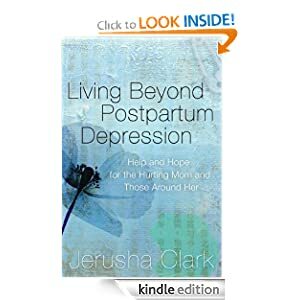 Author Jerusha Clark's writing is full of research, her own story of PPD, and Scripture. It will help you process what you’re facing on a physical, emotional, and spiritual level.